Despite the trends and developments in school administration and management, several educational institutions are still unaware of the value of investing in locker storage solutions. Surely, these school lockers promise a wide array of benefits and advantages to the students – the primary stakeholders of schools. By providing a facility that will benefit your students, your school will be more conducive for a more enriching learning experience. Budget constraints will not be a major block since you can find school lockers that are low on cost but high on quality. Nevertheless, here are very striking and substantial reasons why you should not think twice about including school lockers on your long list of student services. Locker storage provides security for students’ belongings. Because your students are your utmost priority, the security and safety of their belongings should be taken seriously. Aside from ensuring a harm-free environment for the students, your school should also provide a safe area where your students can leave their important but bulky possessions. You have to bear in mind that your students will surely be bringing their gadgets such as laptops and tablets to school. They will definitely be relieved to have laptop lockers so they do not have to bring their notebook computers in going to the school canteen or in paying their tuition fees at the accounting office. When lockers are installed in the school’s vicinity, your students will no longer have to be paranoid about possible theft and robbery incidences. Certainly, parents would not mind shelling out a minimal amount in exchange for the student’s peace of mind. 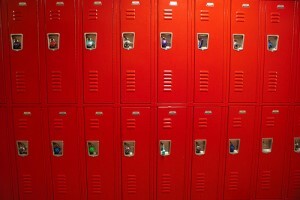 Lockers minimize distractions during class. Without locker storage, students would have no other choice but to bring their gadgets and devices with them during their classes. These gadgets could end up distracting them from the discussions and class activities. Students could easily feel tempted to play games and check their social media accounts. This facility could help you separate these gadgets from the students and make them concentrate more on the lesson. A locker could help reduce hassle for students. Nowadays, people are even more willing to spend for convenience. Locker storage solutions could be a perfect example. Aside from the gadgets, students could also store their thick and bulky books, physical education uniforms and other learning materials and supplies inside their locker. Thus, you can save your students from back pains and strains. They only need to bring the materials they would need for a specific class. There is no need to carry everything.